Lightened-Up Pumpkin Pie – Amazingly rich, creamy, and very easy to make, lightened-up Pumpkin Pie. You can now have your pie and eat it, too!! 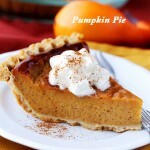 Indulge in pumpkin pie totally guilt-free!! YASSSS!!! I ♥ exclamation points!! Hey Hey Heeeey! Happy Happy Thanksgiving!! 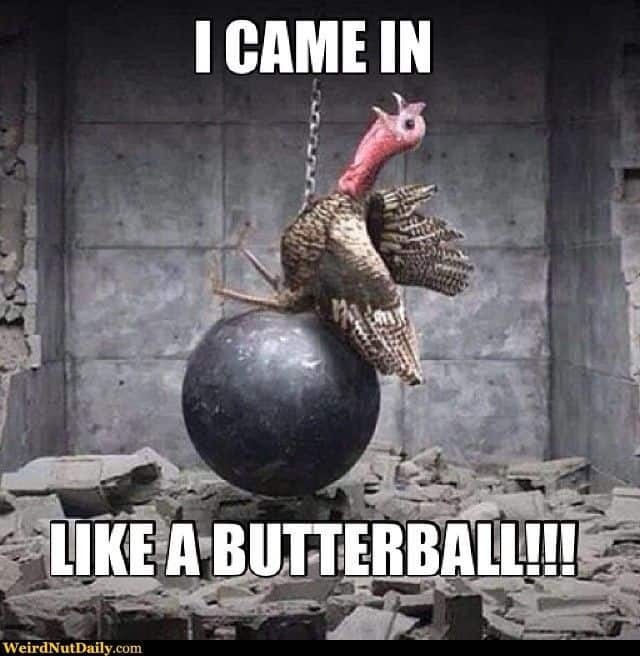 Who is ready to gobble-gobble? Did you find your stretchy pants? I’m going to start the day with a nice cashmere top and hot pants, but come the bird, and I’ll be back in my sweats, making more room for those Spinach and Artichoke Dip Crock Pot Mashed Potatoes. Honestly? I can’t wait to eat a bowl of those. May the forks be with me! So. Hey. I totally know that ain’t no one lookin’ for a Pumpkin Pie recipe on the day OF Thanksgiving… right? (are you??) … but here’s what. I’m only here to tell you a few things before I share my new favorite recipe for a skinnier Pumpkin Pie. Sidenote: I really AM surfing around the net, looking for the best darn cranberry sauce recipe ON Thanksgiving Day. It’s the only thing I have left to do. IF you have a favorite, please let me know in the comments section. Ok. So. First and foremost, this is a day that should be filled with gratitude – turkey and pie, too – BUT above all, it’s about appreciation and gratefulness. They say, feeling gratitude and not expressing it is like wrapping a present and not giving it. Having said that, I’d like to THANK ALL OF YOU from the bottom of my heart and my family’s hearts and my heart of hearts for always coming by here, grabbing a recipe, reading through my ramblings, commenting, giving me feedback, and so on. Thank you for supporting my little business, here in this small corner of the world, and for always encouraging me to do better and do more. Thank you for choosing this blog to be on your email list, thank you for following me on social media, thank you for trying my recipes, and just thank YOU for being YOU!!! You are all a very special blessing to me, and may love, joy and happiness find you all, today and always! If I could, I’d bring you all a piece of this PIE! About the pie? Well. Believe it or not, this tastes just like a good ol’ classic Pumpkin Pie, but with fewer calories. Don’t worry – I didn’t alter it too much. A little bit of honey and a can of low-fat evaporated milk resulted in a successful, yet lighter pie. In fact, this pumpkin pie is 110 calories less per serving than your standard pumpkin pie. Also? 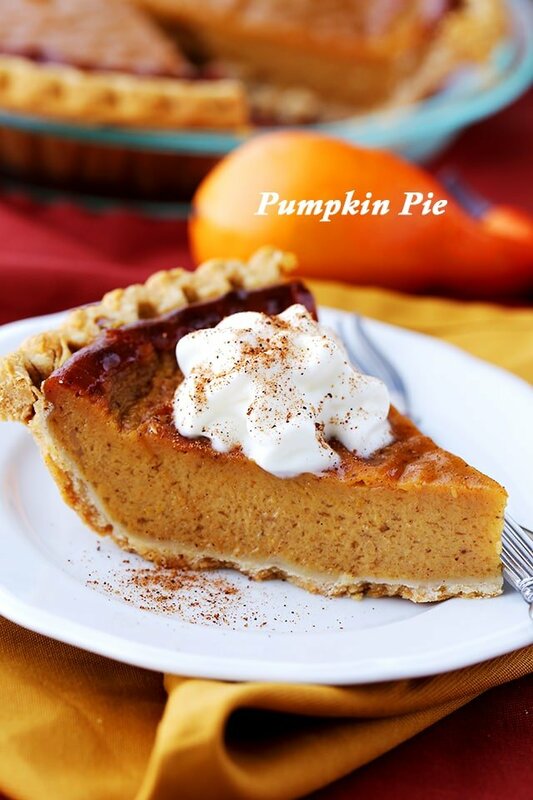 Refrigerated (reduced fat) dough never hurt nobody, which is why it makes this pumpkin pie recipe simple to prepare! Sidenote: I have a recipe for from-scratch pie crust right here, if that’s what you want to use. I published that recipe exactly 5 years ago. WOW! BUT, I see this Pumpkin Pie at my Thanksgiving table this year, and every day from now until Christmas. And maybe forevermore. Have the happiest Thanksgiving ever! 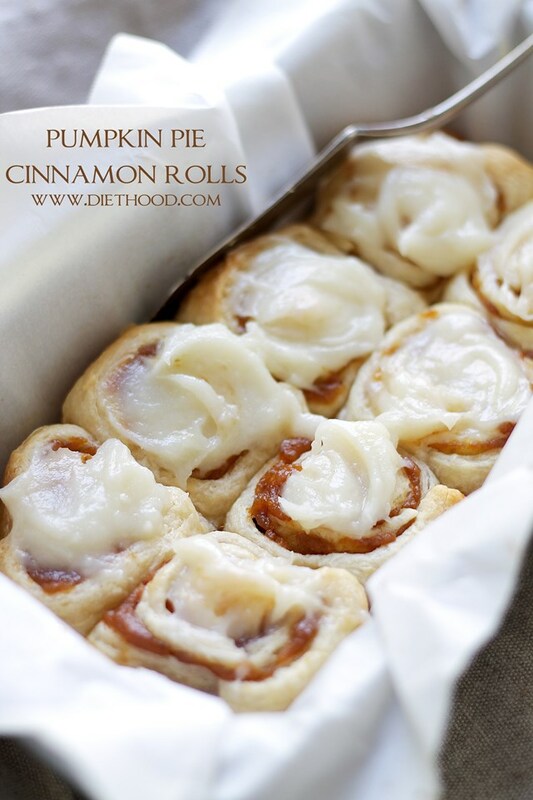 This easy pumpkin recipe is perfect for Thanksgiving dessert! 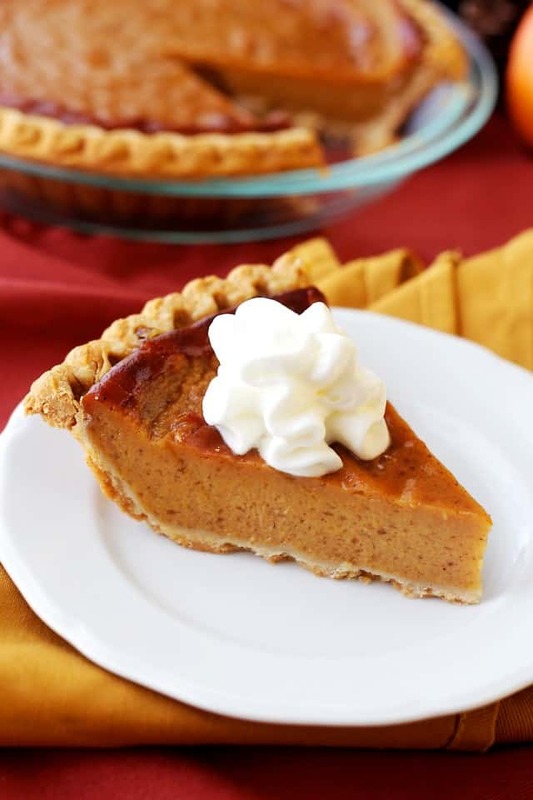 A rich & creamy pumpkin pie recipe that's healthier than the traditional version and so GOOD! Set pie crust in a 9-inch pie plate and set aside. 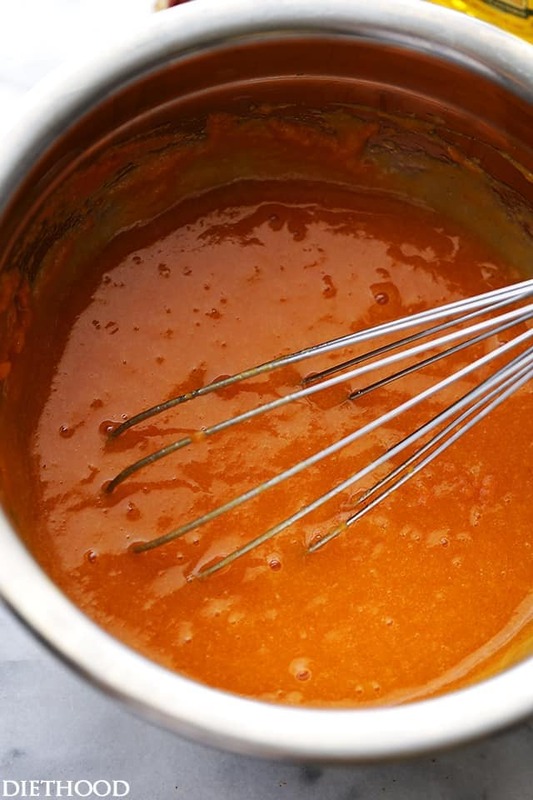 In your mixer's bowl, combine pumpkin puree, eggs, evaporated milk, honey, cornstarch, salt and spices. Set your mixer on medium-low speed and beat until well combined and thoroughly smooth. Pour the pumpkin mixture into the previously prepared pie crust. Remove from oven and cool on wire rack for 2 hours, or until completely cooled. Garnish with light whipped cream and sprinkle of nutmeg. *Cover the crust edges with foil if they are browning too quickly. I love any dessert lightened up! Pumpkin pie is my favorite! 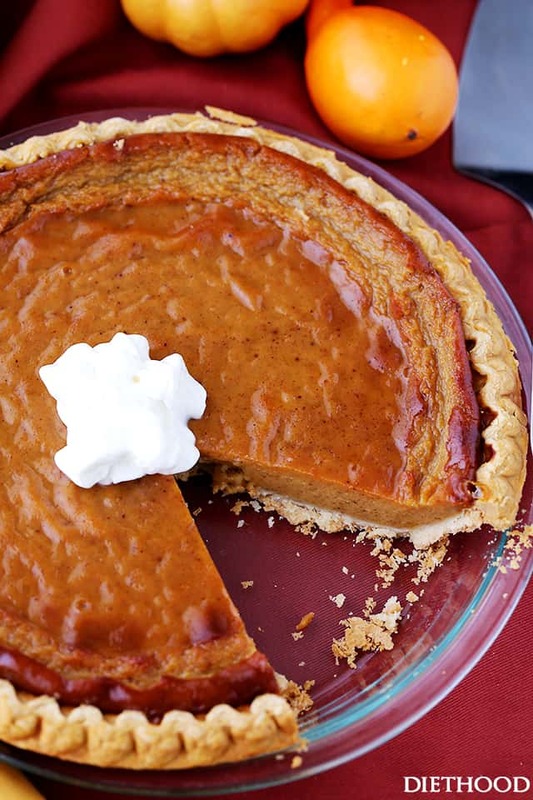 I love anything with a healthier take and this pumpkin pie looks terrific. Who would have thought it is lighter! Guilt free pumpkin pie? Sign me up! I hope you had a wonderful Thanksgiving with your family! I’ve made a light pumpkin pie similar to this one a couple of times and no one ever knows the difference. Yours looks wonderful! LOVE your lightened up versions of classics. The absolute best! 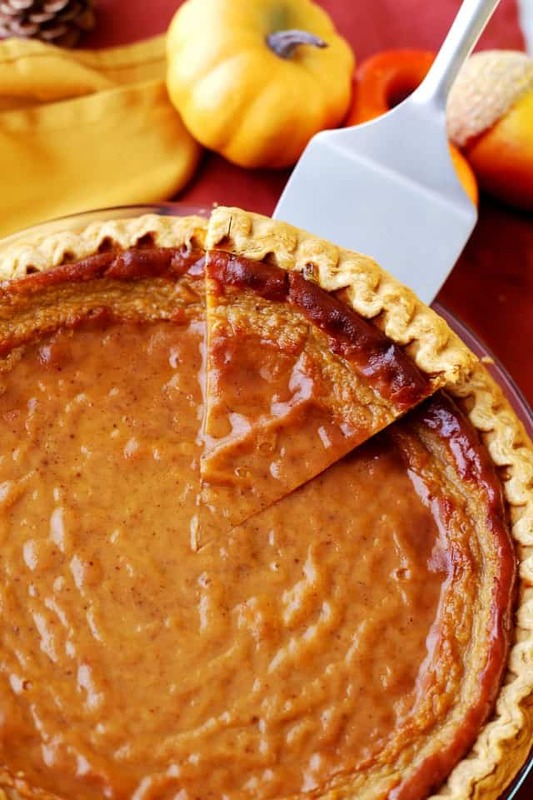 Gorgeous pumpkin pie and photos! 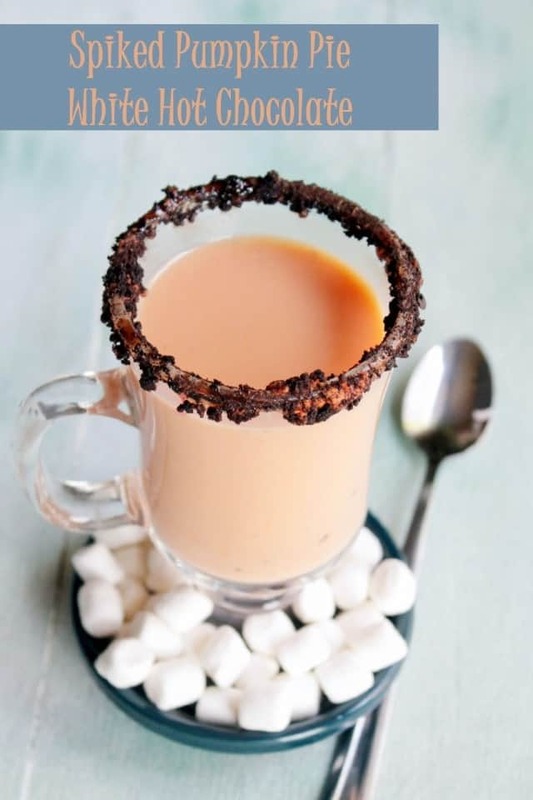 I love that you used honey in this! Perfect, I have been looking for a lightened version. Looks great! Pumpkin Pie with less calories? I’m so there! pumpkin pie is one of my favorites, so a new recipe is just another excuse to make one!! Hope you had a wonderful Thanksgiving. I made a new cranberry sauce recipe this year too – I got it from Lori, at Recipe Girl – not only does it have cranberries, but blueberries and raspberries too! it was a big hit! I ALWAYS like to try new pumpkin pie recipes. This looks great to me!